Ah, with February & Valentine's Day upon us, we can't help but think about what it takes to give love a little nudge. Flowers, chocolate, perhaps even a candlelight dinner for two—these gestures of affection are frequently offered in hopes of igniting passion or to cause the embers of love to burn that much brighter . . . But can attraction really be under anyone's control? Even though we all know that part of the adrenaline rush of romance is its mystery & risk, for centuries people have endeavored to "assist" the special chemistry it takes to create desire. Ancient Romans used frankincense & oysters as an aphrodisiac (known to enhance male libido), and Cleopatra secretly sprinkled opium into her paramours' drinks. 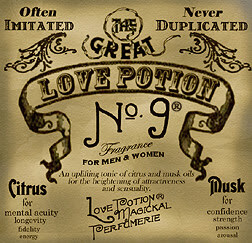 But short of trafficking in illegal substances or black market products such as powdered rhino horn, is there anything credible to the idea of creating a genuine "love potion"? In a new study published by the renouned biology journal Proceedings of the Royal Society B, researchers discovered that people naturally gravitate in a romantic fashion towards others whose body scent is similar at a molecular level to their own. This odor is subtle and can only be recognized subconsciously—so we're not talking about sweat or body odor here. What attracts people is the distinctive fragrance determined by your genes that activates the right middle front of your brain where positive emotions are generated. Why? Because apparently these scents come from the "immunogenes" that boost your immune system—so the outcome of such attraction is to eventually create offspring who are healthier & stronger. As a result, we're actually following our noses to survival of the fittest as a species. "Love at first sight" might be better phrased as "Love at first smell"—so long as the scents of the two parties involved complement one another. So how might YOU discover the best scent to make yourself attractive to your object of desire? Utilizing the wisdom now confirmed by scientists, the best "Love Potion" means choosing more natural fragrances that will enhance your own body's scent, rather than applying overly synthetic or artificial-smelling perfumes. 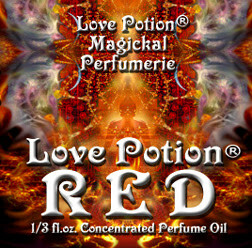 One company that specializes in such natural ingredients is the Magickal Perfumerie company (www.lovepotionperfume.com) with their artisanal fragrances that cater to the new scientific research on human pheromones & our instinctual responses to natural scents. In their current line of Love Potions, their products stand out as much for their beautiful & whimsical packaging as for their extraordinary ingredients! 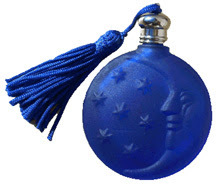 And boasting over 25 years of experience, Magickal Perfumerie is the same company that created the classic Love Potion #9 named after the tune made famous in the 1960s by The Searchers (click here to see video). The songwriters Jerry Leiber & Mike Stoller actually approached expert perfumier Mara Fox of Magickal Perfumerie to help them design a fragrance for both men & women containing citrus & musk to make the scent fresh & cool, yet refined. According to happy wearers, it's a fragrance that transcends both gender & time to make you feel like "Pure Magic." But if you'd prefer something even more intense, there's Magickal Perfumerie's notorious RED. This is a fragrance that Mara Fox says "drives men insensible with lust" & she warns that you "should absolutely wear this fragrance with caution" as it can attract "hungry wolfish types". For years she took it off the market, but popular demand brought it back, and with its intoxicating mix of vanilla, amber, patchouli, cinnamon, dark sugar, resins & woodsy notes, this Love Potion is a veritable alchemy of attraction. 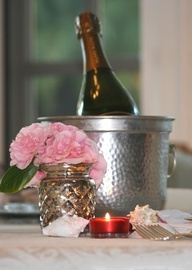 Perhaps you're in the mood for something sweeter & a bit more civilized? For a limited time, Magickal Perfumerie is offering the Honeyed Love Potion: a pheromone-enhanced aphrodisiac with honey, apricot, vanilla, amber, patchouli & verbena that Mara Fox says is designed to "nudge him off that cliff of indecision and into your arms." Sounds like heaven in a bottle, right? This particular scent is inspired by gypsy magic for "the woman who believes the man of her dreams can never be hers"—that is, "until the gypsy comes to town and tells her otherwise." This particularly magical scent will make a forever-after love come your way, the kind that is written "in the cards, in the tea leaves, in the very stars." The wearer of this love potion will "turn her desired one's gaze to her & no other for as long as they live." That's some powerful gypsy magic indeed! "So you must be that girl who's the talk of Turtle Shores," Lorraine said. "The-the talk? I replied, startled. Now it was my turn to blush . . . I pounded on Granny Tinker’s gypsy wagon door with everything I had in me, and then I gave it a swift kick. I nearly leaped to the moon. She waited for her words to trickle into my brain, watching the astonishment surface in my eyes. Granny’s eyes twinkled at the spirals of smoke that rose from her incense sticks, even though they’d nearly burned down to their brass holders. “Besides,” she said with a mischievous grin, flashing her gold tooth, “bringing you back to yer real home, where yer Pa found the only woman he ever truly cared for, was the very least I could do in the name of true love." 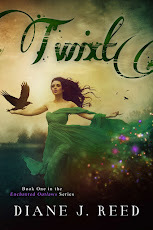 What Robin doesn't realize in that moment is that Granny Tinker has a hunch she & Creek need true love, too—and sometimes allowing a little magic into your heart can lead to the greatest romance of all. So even though science now tells us that Love Potions do have genuine merit, what's really required for Robin to find her happily ever after is opening her heart to magic and possibility. As Mara Fox says about love spells in general, "The ritual of a spell is not really the important part. The crucial part is your intense focus." When Robin learns how intensely Creek loves his "family" at Turtle Shores—so much that he actually prayed for someone like her to come & help him provide for them—that's when she realizes just how pure his heart really is. 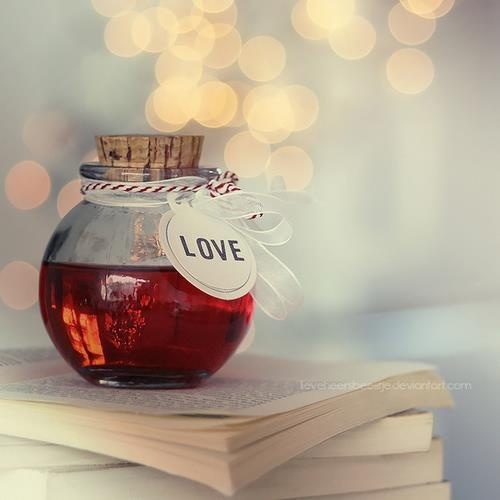 And it's understanding his intentions that becomes the "love potion" that truly casts a spell over heart. 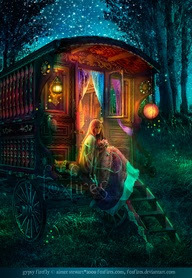 But until that moment comes into your own life, it might not hurt to have a little gypsy magic—and a love potion or two from Magickal Perfumerie—to boost your confidence & give your efforts towards finding romance an enchanted helping hand . . . 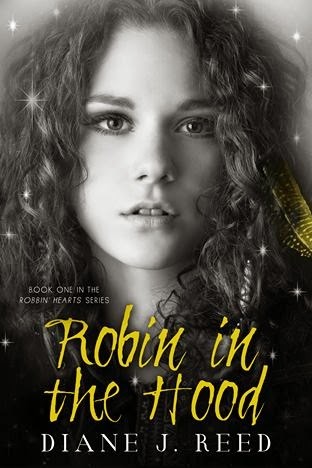 If you enjoy love stories with a sprinkling of magic & gypsy spells, you may enjoy my new novel Robin in the Hood, available in paperback at Amazon & Barnes & Noble & as an ebook on Kindle, Nook, iBooks & Kobo. What a lovely post! 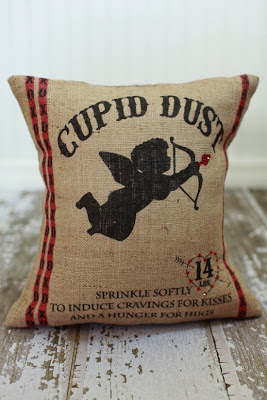 I want a bag of the cupid dust. The pictures are simply breathtaking and I adore Granny Tinker! Halfway through your book and it just gets better with every page I turn! I'm a huge fan of LPMP! They're perfumes are fun to collect and experiment with. Plus I love supporting a small business that really cares about it's clientele and listens to what is needed in their lives (and oftentimes it's not about the love as it is about getting good sleep, dealing with troublesome coworkers, or exerting just a little extra influence on the world around us.) Check them out! Thank you for your comments—I just got my package from Magickal Perfumerie today (on Valentine's day)! This feels awfully auspicious. I just need to make sure I clarify my intentions to attract what I really want ; ) Luckily, Mara Fox gave me a good list of instructions!